Today it has been my appraisal so off to Bracknell and back in the pouring rain. 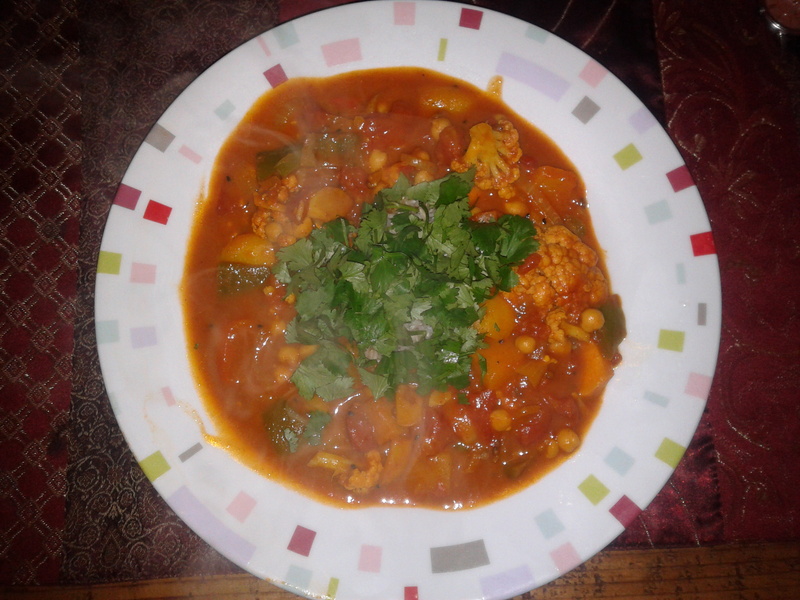 Good day though and topped off with a super hot and spicy veggie curry! Normally it is Colin who over chillis dishes but tonight it was my turn…. Actually I was ok with it but the poor lad must have bitten into a few hot pieces and his mouth was on fire for a little time. The leftovers are coming to work with me on my late night tomorrow to warm me up on a cold evening.